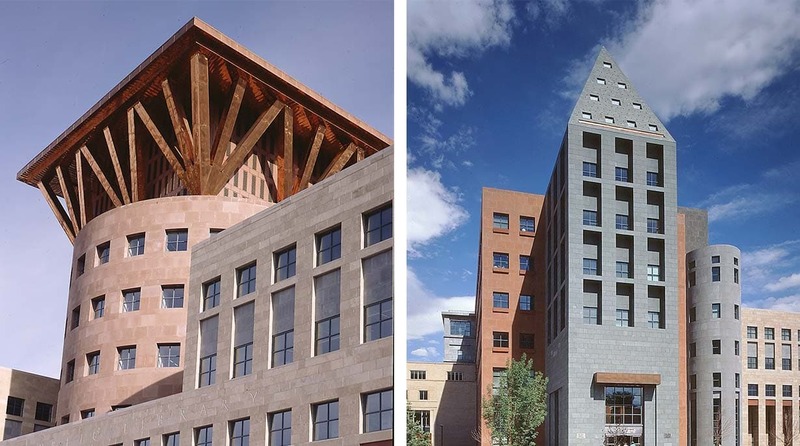 Once the citizens of Denver decided to save the 1950s modernist library designed by Burnham Hoyt and expand it, the City and County held a design competition to choose the architect. Since the original building facing Civic Center Park is modest in size and character and the expansion would be three times its size, MGA&D designed the addition as a backdrop to the Hoyt design, allowing it to read as one element in a larger composition. 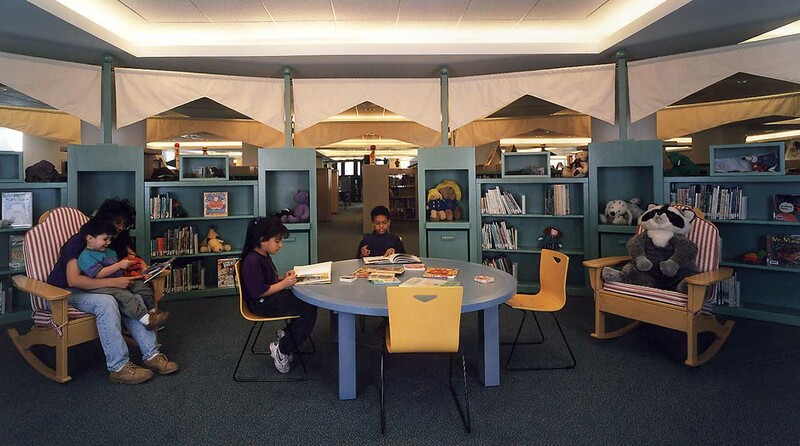 This approach also resolved one of the project’s major challenges, keeping the library open for the city’s children, youth and adults during construction. The expansion was built first, and the existing library was later renovated. MGA&D values how people understand and interact with buildings, especially those of civic and cultural importance to their communities. 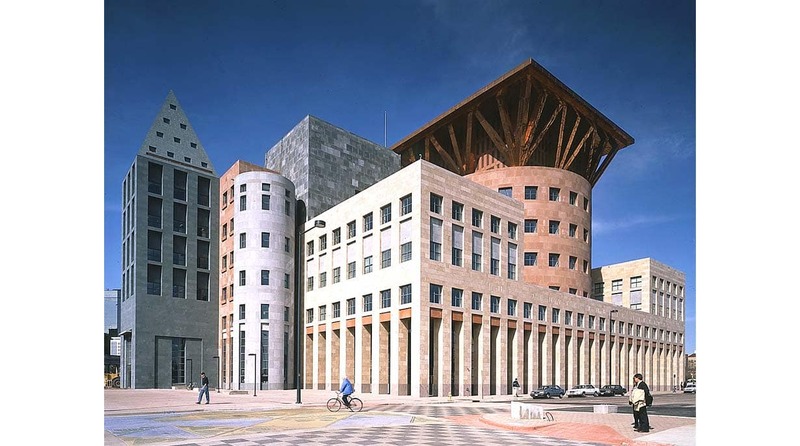 The Library’s massing reflects both the city context and activities within the building. 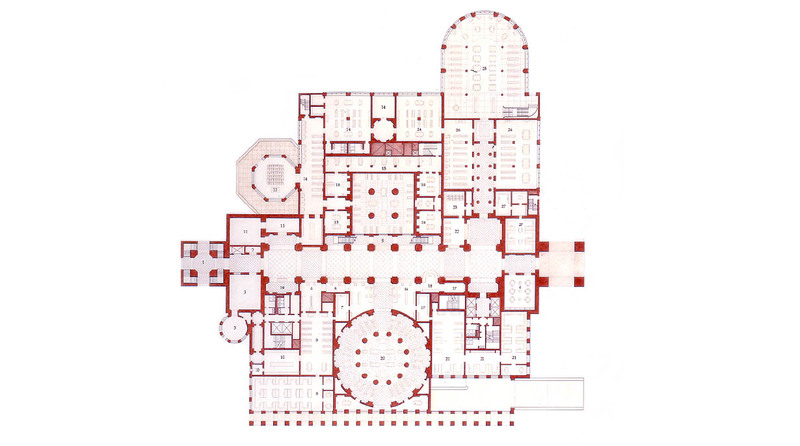 For example, two entry towers align with public buildings in the Civic Center complex to the east and west. Internally, their axis defines the three-story Great Hall. The large rotunda facing the city’s rapidly growing area to the south signals the cylindrical forms of the major reading rooms. 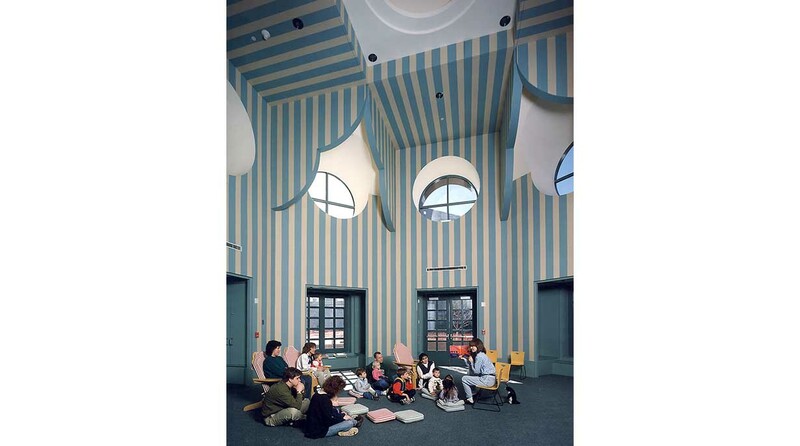 And the small pavilion attached to the existing building is a playful reading room for children. 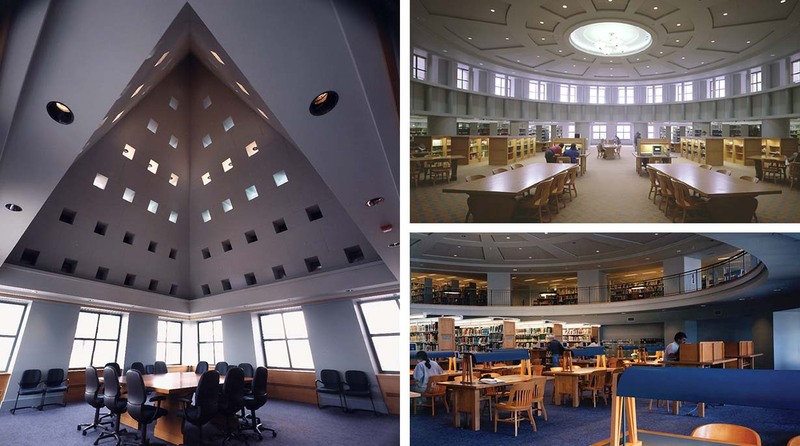 Throughout the Library, the consistent use of millwork and a variety of colors differentiate the public spaces and their uses. In the gridded upper surfaces of the Great Hall, a 70-panel mural by the artist Ed Ruscha depicts a “rolling historical landscape” of Colorado and the West. 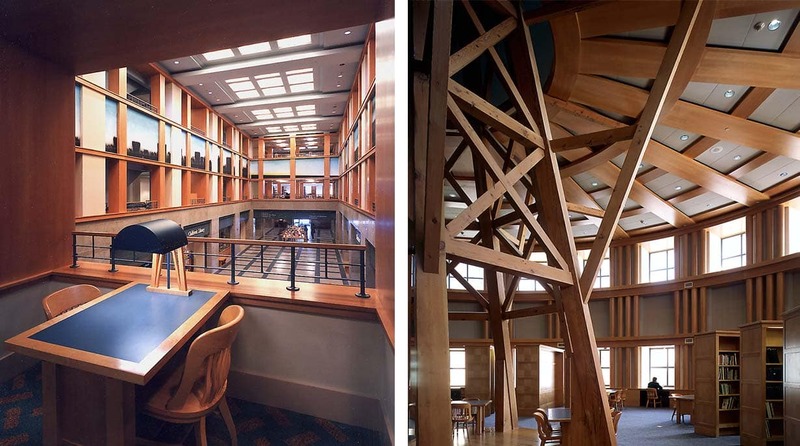 The wood-paneled Western History Reading Room in the Third Floor rotunda, which contains genealogical and historical records, is centered on a large derrick-like structure that recalls the temporary architecture of western exploration.